I loved this story. I loved how Ruby and Rex worked together. Rex has some trust issues and Ruby doesn’t think she is worthy of Rex. Then you throw in Ruby’s mother and this story makes you laugh and cry at times. This is a great story of learning to have faith. I received this book from Celebratelit for a fair and honest opinion. loreeloughhsff1A prolific writer, Loree Lough has 108 books, 68 short stories, and more than 2,500 articles in print. Her novels have earned dozens of industry and Reader’s Choice awards. A frequent guest speaker for writers’ organizations, book clubs, private and government institutions, corporations, and college and high school writing programs, Loree and her husband, Larry, divide their time between a home in the Baltimore suburbs and a cabin in the Allegheny Mountains. This has to be one of my favorite books that I have read in this series in a long time. It is not too short or too long. It flows very well and the story is great. I love the illustrations like always. I received a copy of this book from the First Look blog tour for a fair and honest opinion. Stan and Jan Berenstain launched the Berenstain Bears books in 1962 with The Big Honey Hunt. Since that time, more than 400 Berenstain Bears books have been published, making it one of the best-selling children’s series ever. 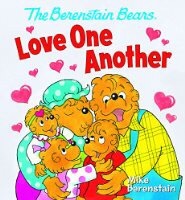 Today, Mike Berenstain continues his parents’ tradition of creating warm and engaging stories featuring the lovable Bear family. In The Berenstain Bears Love One Another, the cubs are helping Mama make berry muffins for a neighbor. When the cubs ask why they can’t have the muffins, Mama reminds them that when we love one another, we find ways to help each other. The short, simple story and well-loved characters provide toddlers with a perfect introduction to the concept of showing love and kindness. Ages 2-5. I believe that this was my favorite book in this series so far. I loved the storyline. The shy student that ends up helping others once his teacher has confidence in him. This story also lets the child know it is ok to pray. All of this series is well written and has fantastic illustrations. I love that there is a little item to try and find in each book. This one has the Bible picture to find. I hope there are many books to come in this series. I received this book from Bookcrash for a fair and honest opinion. Charlie is a shy kid who hides behind the cleanup sink at school. However, after his teacher asks him to be her helper, he springs into action when the fire coral stings his friend Bernie. Charlie goes to bed a little bit early because he wants to make sure he gets a goodnight’s sleep. He wants to be a good helper for Miss Stella. He had decided that it was way more fun to be a helper than to hide behind a sink! Before he falls asleep, Charlie prays, “Dear Jesus, thank you for my great first day of school, and thank you for my mommy and daddy, all my new friends and for Miss Stella. Help me to always help others. 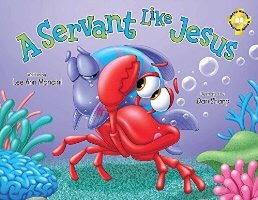 Amen.” Charlie learns he can overcome his shyness and be a servant like Jesus. I really enjoyed this third book in the Cold Case Justice series. Will Abby find proof that the Governer’s wife was responsible for the death of her parents. This story moves along well and has a few ups and down. I liked some of the sexual tension but hope it does not go on for too many more books. I am glad that many of the trials that started 27 years ago are beginning to end in this book. I look forward to seeing if Luke and Abby will get together or if they will break apart. I really like Gunther also. He is one of my favorite people in the book. I received this book from Tyndall blog for a fair and honest opinion. This novel made me laugh and cry. It was a great love story between Newton and Polly. This was a story that showed how love can endur even through tough times. Watching the one you love go off to the sea would be very hard to do. Both Polly and Newton mature over the times that they are apart. They learn what faith truly is. This helps to explain how he wrote such a beautiful song. I received this book from blogging for books for a fair and honest opinion. Jody Hedlund is a CBA best-selling and award-w inning author of more than a dozen books. Among a variety of genres, she especially loves bringing long-forgotten women of history to life. She is the author of Luther and Katharina, which was awarded the ECPA Book of the Year Award in Fiction. Her other novels have won the Carol Award, the INSPY Award, and the Christy Award. She resides in Midland, Michigan, with her husband and five busy children. Loved, loved, loved. I did not want to put this book down. This mixed Amish and Englishers very well. Margo was a very strong girl and I really liked Brock. They were a great match. There are many twists and turns in this suspenseful book with a bit of romance. I am really looking forward to the other two books to come in this series. I received a copy of this book from Celebratelit for a fair and honest opinion. img_1634aUSA Today best-selling author Jen Turano writes contemporary and historical romances with quirky characters and unusual storylines. Just outside Denver, Colorado, Jen and her husband live as empty-nesters, and they do so fabulously. Contact Jen at jenturano.com. To celebrate her tour, Jen is giving away a $25 Amazon gift card and signed copies of her book! Click the link below to enter. Be sure to comment on this post to claim your nine entries on the giveaway! This is a set of 4 novellas. There is The Heart of Joy by Vikki Kestell. This one is historical and takes place at the Palmer House in Denver, Colorado. Joy has to decide if she is ready to find a new love since her husband died. Joy must decide if O’Dell is the new man for her. This is a good romance.The second novella is Snow Angels by Cathe Swanson. There are many misunderstandings between Lisa and Pete when she is roped into serving Thanksgiving dinner at the local community center. Lisa and Pete have a few adventures once they meet. This is also a good romance. Both Lisa and Pete learn some valuable lessons. The third novella is Trip the Light Fantastic by April Hayman. I think this was my favorite of the 4. Trip, an FBI agent is sent to find an elusive conman right before Christmas. Trip finds Landry the conman but nothing quite goes the way he thought it would. This one had great characters and was a fun book. I did not want to put this one down. The fourth novella is Christmas Stalkings by Chautona Havig. This was such a cute story. There is just a bit of intrigue and a little romance. I love the cats and the Christmas trees. You keep hoping that Wendy is not going crazy throughout this story. I received this book from Celebratelit for a fair and honest opinion. Four novellas in a variety of genres—that’s all they are. Just four stories to quiet your heart and soul as you embrace the beauty of the Christmas season. Inside, you’ll find Vikki Kestell’s historical romance and a reminder that the Lord’s plans are always just what we need. You’ll be introduced to Cathe Swanson’s unlikely romance about a woman who sets out to do one good deed and is drawn into the lives of a cast of eccentric elderly people. You’ll meet April Hayman and her southern madcap mystery featuring an FBI agent, a con artist or two, and a few eccentric elderly people of her own. And you’ll find Chautona Havig’s Christian fiction novella that blends comedy, suspense, with a garnish of romance. In the hope that through these Christmas stories your heart will be lightened and brightened, we offer you this collection. Merry Christmas! And a happy, light read! catheimageCathe Swanson: Author of contemporary mystery and romantic suspense, Cathe brings us Snow Angels – an entertaining companion novella and introduction to her upcoming Great Lakes series. chautonaChautona Havig: Author of the Amazon bestselling Aggie’s Inheritance, Past Forward, and HearthLand series, Chautona brings humor, stalkings, and stockings to this collection. We thought we’d share what inspired our novellas and pray that these books are a delight and encouragement to all. The Heart of Joy: This novella is a spin-off story from Vikki Kestell’s Prairie Heritage series and features one of her most beloved characters, Joy Thoresen, from book three, Joy on This Mountain. After three years of widowhood, Joy mourns not only the loss of her husband but the child someone has kidnapped as well. Only her faith sustains her through difficult days. Vikki’s goal in writing is to provide FaithFilledFiction to Christians, and this novella is no exception. She worked to show that even amid our sorrow, the Lord brings good, hope-filled gifts to us even when we think we’re not ready for them. She also desired to fill in small, time-veiled gaps in Joy’s story. The Heart of Joy puts the finishing touches on Joy’s story. Snow Angels: The idea for Snow Angels came to Cathe in slow increments. The idea of using homeless veterans originally prompted research into homeless shelters and programs, but the scope of those became too much for a novella. Still, those characters had stories Cathe wanted to tell, so she continued her research and became increasingly concerned with the plight of homeless veterans—particularly the women. For some reason, we often forget that women serve, get PTSD, and end up on the streets just like the men. Cathe wanted to combine those realities with other misconceptions that often blind us to the person behind the façade. She wanted to demonstrate how people in otherwise normal lives also can be thrust into situations that trigger PTSD and how those people work through it. Of course, with such a heavy topic, Cathe chose to write the story with a liberal dusting of humor to lighten the mood as you read. As her debut novel, Cathe introduces readers to characters we’ll see more of in her Great Lakes series and paves the way for her upcoming novel, Baggage Claim, releasing in early 2017. April admits to loving another character, Landry, just a little bit more than the others. Yet, he could never be a main character. He’s too much of a rascal and a mastermind, so he works best from the shadows. While this book wasn’t about him directly, it could be about someone similar—someone who works in the light but has lost his way and needs help from God and some new friends. Trip the Light Fantastic is a sideways introduction into a character that April hopes will entertain readers for more books to come. April set her series in Mississippi where her grandparents lived, so the books are rich in southern manners, mannerisms, and manors! Well, there’s one plantation belonging to her irascible but charming con-artist. Watch for a book set at the Crawford house in Spilled Ink, releasing in December 2016. Christmas Stalkings: A couple of years ago, Chautona was on a Facebook group and a young woman admitted to having seven Christmas trees. Intrigued, she named it the “Seven Tree Obsession” and wondered what kind of character would have seven trees—and why. Well, the more she thought about it, the more interesting it became. After all, what would happen if ornaments got moved around when she wasn’t looking? Who would do that? Why? And what could she add to complicate it? While Christmas Stalkings does stand alone, Chautona wanted to explore Neal’s side of things a bit. So she is. It’ll be the fastest “write-to-publication” she’s ever done, but she just had to try. So, for NaNoWriMo, Chautona is off to try to figure out what’s up with Neal and why he’s such a crusty curmudgeon. He’s too young for that! And maybe, just maybe, he’ll embrace a “new life” in the New Year.